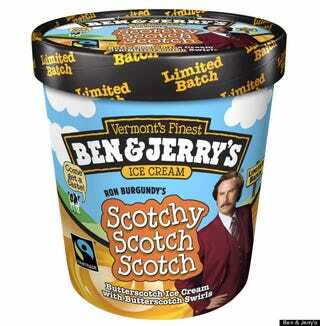 The new flavor is a butterscotch ice cream base with butterscotch swirl ribbons. And it is really good. Good enough that we're hoping that this limited-time offering becomes permanent. The base is creamy enough to remind us of gelato, and the butterscotch flavor is strong in the best kind of way. The swirls are copious and thick, as every ice cream swirl should be. 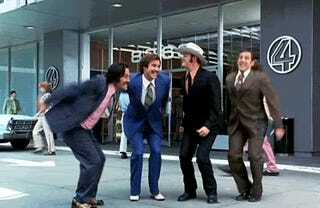 LET'S CELEBRATE WITH SOME ANCHORMAN GIFS!! !